YOU’RE ENGAGED (or about to be!). Oh heyyy, so exciting! 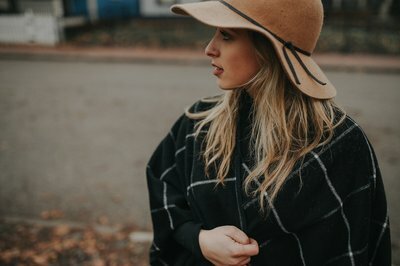 You’ve just said yes to your boo and now you have all the emotions, targeted Facebook ads to start a wedding registry and a giant list of things to do. The engagement season can be one of the happiest and most daunting all in one. So what now? How the heck do you start? 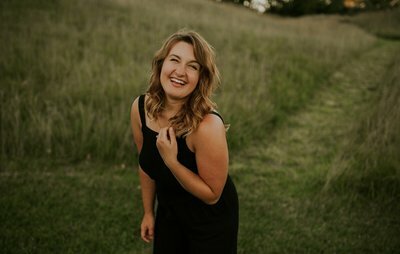 I’ve been in the wedding industry for almost six years and being a past bride myself I’ve come up with a few tips to dive in! Yes, you read that right. PAUSE BABE. Your to-do list is there and it’s growing longer with each thought. I know you feel the pressure to do everything under the sun right away. But honestly, please take a few days to just be. Just enjoy. Just like the way you start your morning has an impact on your day I believe the same about the wedding process! The entire reason you’re doing this in the first place is to plan a celebration because you’re marrying your favorite human. Let that sink in because it’s the most important. I think it’s crucial to slow down and be present in this process because it’s likely only going to happen once. The in between seasons are just as important as the next destination. When Luke and I got engaged (after 8 years of dating so we were PUMPED believe me) we took a week before we started diving into the planning. During that time we just reveled in the newness, each other and the fact that we were taking a big, wonderful next step. I really think it helped us put into perspective that this was about each other and not just fall into all of the details. To this day it’s one of my favorite decisions we made in that season! Unless you have an unlimited budget not every single aspect of your wedding can be a priority and that’s okay. The first thing I did when planning my own wedding was write down the top three things that we’re important to us. Everything after that was a bonus. 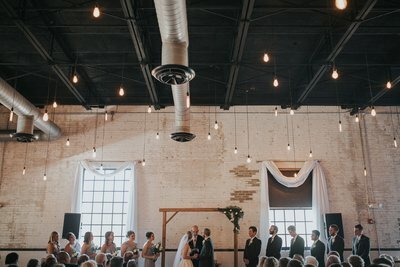 We paid for a good chunk of our wedding ourselves so this helped narrow the focus in! For us it was fab photography, a relaxed, outdoor venue that could hold everyone we wanted to invite and investing in our honeymoon. We had a pretty low-key wedding and that was exactly our style. Are you foodies who want to give your guests an awesome culinary experience? Are big, incredible blooms your jam? Is live music non negotiable? Your favorite hair and makeup artist? That list looks a bit different for everyone so you really need to focus in on what’s important to you as a couple! Wohoo! You’ve relaxed a little, decided on your top priorities and now you’re ready to jump in. You’ll find timelines all over the internet about when to book what vendor because the order really matters. After you do some research on what you want I would go ahead and start reaching out to the five vendors who tend to book up the fastest! 1.Venue: Your wedding date and venue go hand in hand. It helps set the day officially in stone and the type of vibe you want. Whether you’re going for a more industrial vibe, in the woods or a glitzy ballroom- this really creates a framework for everything else. Plus, uh so exciting to know where you’re going to celebrate with all your fam and friends! 2.Wedding planner: If you’re planning to hire a coordinator you want to do this from the start so you can use their knowledge, experience and all around awesome-ness right away! A great planner is an invaluable resource and your right-hand person in helping you stay in budget, taking your stress levels down and making this an incredible experience. 3.Photographer: I know I’m kind of biased but great photographers’ usually book up 10-14+ months in ADVANCE. I know, I know. Crazy talk. I have to plan my off time a year ahead! 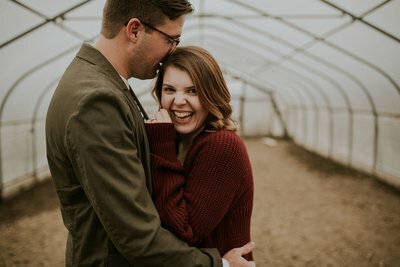 haha Your photographer is one of the vendors you’ll have the most contact with during the planning process and what you will have to remember the entire day by. Besides your boo, it’s the biggest lasting piece from your wedding. That’s a big deal! So make sure to start creeping, doing your research and email the folks you really jive with. 4.Videographer: One of the biggest regrets I’ve heard after a wedding (myself included!) was not having a wedding film. Having someone record your day is one of the sweetest tangibles you can have. The words, little grins and your uncle’s weird dancing is priceless to catch on film. It offers a totally different emotional perspective of your day. I love watching videos from weddings I’ve photographed and seeing their take on the day in comparison to mine. It’s incredible! 5.Florist: These people are magical. I think florists have one of the most complicated jobs. I really do. Between ordering your blooms in the right season, executing your vision and dealing with such dainty details, transporting- it’s a lot of work! And hard work takes time to get right. This is one big vendor you don’t want to wait last minute for because there are so many moving parts.